Just days after announcing the launch of two new mixed reality studio facilities, Microsoft is extending its mixed reality reach even further with the announcement that the HoloLens will now be offered in 29 new markets. The announcement was made on Wednesday, Nov. 1, in conjunction with the Microsoft Future Decoded event in London. 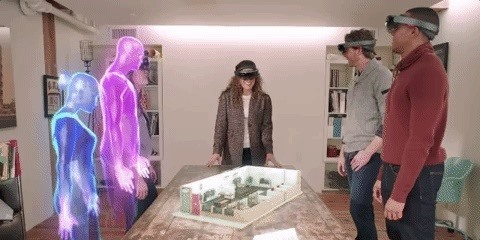 Among the new markets offering the HoloLens are Sweden, Denmark, Norway, Switzerland, the Netherlands, Spain, Belgium, Finland, Luxembourg, Turkey, Croatia, Greece, Malta, Cyprus, Slovenia, Austria, Italy, Poland, Liechtenstein, Iceland, Estonia, Czech Republic, Latvia, Slovakia, Lithuania, Romania, Hungary, Portugal, and Bulgaria. "Firstline Workers are more than two billion people in roles that make them the first points of contact between a company and the world it serves," said Lorraine Bardeen, general manager of Microsoft HoloLens and Windows Experiences in a statement on the company's website. "Mixed reality is poised to help them work together, problem solve, and communicate in more immersive ways." The expanded availability of the HoloLens to these new European markets, which brings the total number of HoloLens markets to 39, will help Microsoft reach more of the 2 billion workers Bardeen mentioned. However, those markets will have to wait just a little bit longer because the expanded availability won't begin until Dec. 1. And while the focus here is on business users, it can't be an accident that the new availability is occurring just before the holiday shopping season. The timing gives Microsoft an opportunity to snag additional sales from independent developers and small startup entrepreneurs with some extra holiday season cash looking to begin developing workflows and applications for the HoloLens in Europe. The era of mixed reality will serve as a catalyst for innovations in the workplace and we expect Firstline Workers and Information Workers to benefit significantly from solutions that blend our physical and digital reality. For current HoloLens users, Bardeen also dropped a bit of welcome news: new software updates are coming in 2018. "We are also working to bring some of the most asked for software updates for HoloLens to our existing customers," said Bardeen, without going into detail on what features the updates will address. "We are committed to delivering an update to existing customers sometime early next year." In addition to revealing additional HoloLens markets, Microsoft also posted a new video (below) showing off how the device can be integrated into a variety of business situations. Some of the examples in the video include mixed reality meetings with remote participants, mixed reality data analytics, remote assist scenarios for repair workers, 3D design workflows, and mixed reality-assisted training. The only thing missing from the welcome news of expanded availability was any reduction in price — the cost of entry to Microsoft's mixed reality party is still a pricey $3,000, give or take a few bucks depending on your local currency.